Look out! Beautiful Multi-purpose fabrics are on the way! We are bringing you the latest in fabric and color trends. 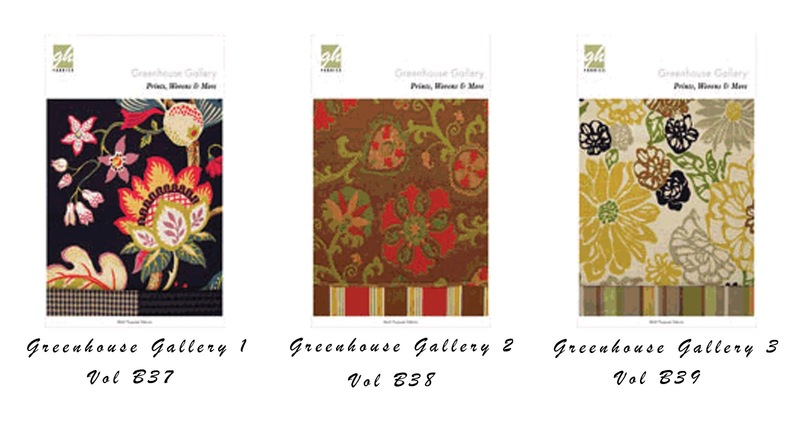 Our three new Greenhouse Gallery books are sure to catch your customer’s eye. Each one is comprised of beautiful prints, wovens, and embroideries where the filling yarns are the same from fabric to fabric, ensuring that they coordinate perfectly! Greenhouse Gallery B39 was inspired by the eclectic color in New York City window shops. We made sure fashion forward colors like chartreuse, citron, and mushroom all play on the cover. 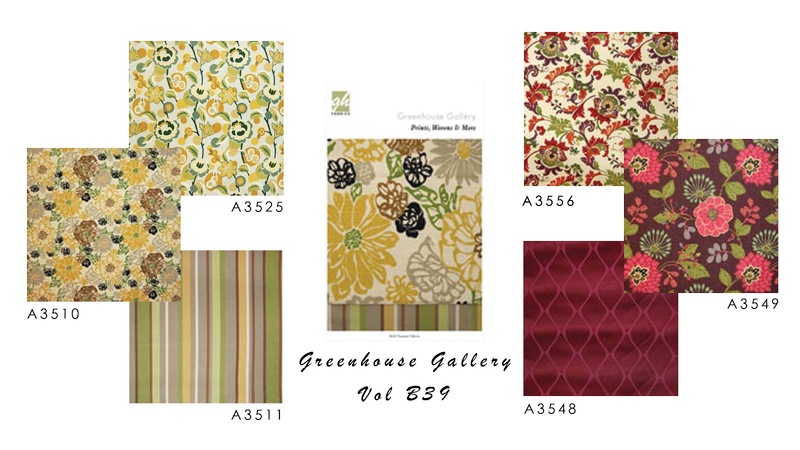 Once your customers see these fabrics, they will be inspired and won’t want to look away! They will have to own these fabrics!